Denver’s own singer/songwriter Lauren Brombert – going places! Scheduled to speak are Ryan Dykstra of Vinyl Buff Records, Alex Berenson of Vinyl Me Please, Sharon Glassman of Sharon Glassman.com, Allen Krehbiel (Denver’s NSAI director), and Lauren Brombert of Lauren Brombert .com. Haunting pop-rock melodies that weave a sonic web of darkness and light. Nimble word craft that conjures up images so vivid they play out like a film. Both delivered by a voice that is equal parts velvet glove and black leather jacket: sensual and edgy, soft and powerful. It happened in a garage on the outskirts of Paris when she was fourteen. Lauren stepped behind the mic to sit in for the French band Duty Free. In that moment, both she and everyone else in the room caught a glimpse of what the future held. But pressure to pursue a more secure career path took her on a long academic detour. After degrees at Haverford College and Yale University and on her way to becoming a field linguist, she finally stopped resisting her passion and came to terms with what she felt she was meant to do: bring music into the world. Settling in Chicago, she abandoned herself to songwriting. It wasn’t long before her vocal and songwriting skills attracted some of Chicago’s finest musicians, including guitarist David Chelimsky, bassist Bob Lizik (Brian Wilson) and drummer Ed Breckenfeld (The Insiders, Jim Peterik). Together they recorded From These Stones (Tessera Records) with engineer/producer Craig Williams. Demonstrating she had “a knack for crafting alluring folk-rock melodies” (Jim DeRogatis, Chicago Sun-Times), the album received critical acclaim and was chosen by The Performing Songwriter magazine as a Top 12 DIY. The daughter of a Parisian and a New Yorker, Lauren grew up on both continents. Her father sang opera and her mother played classical piano. But it was a Beatles record in their collection that ignited her musical passion. At five, she started studying classical piano and then gravitated to the guitar when she was 11. Immersion in different cultures honed her ability to perceive, feel and express what others experience. Whether drawing from her own life or the lives of others, her songs paint vivid portraits that feel intensely personal, exposing insights into the complexity of what it means to be human. In addition to being featured on several radio stations and in a variety of publications, her song “Walls” appears on Big Fish Little Fish, Vol. 2 (Sweet Pickle Music), a compilation of Chicago’s emerging female artists. Now based in Denver, she has performed in various parts of the US, as well as in Paris. She has shared the stage with such artists as Pierce Pettis, Modern English, Kurt Neumann (The BoDeans) and Vertical Horizon. Lauren has received increasing music industry recognition for her songwriting. 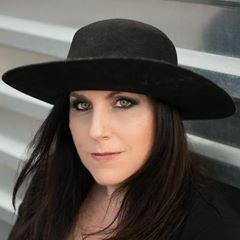 In addition to being named a First-Place Winner, she has been given two Outstanding Achievement in Songwriting awards by the Great American Songwriting Contest as a Top 5 Winner. She is also a two-time finalist in the UK Songwriting Contest. Several of her songs have been signed to music licensing agencies in Los Angeles. She is collaborating with songwriters and producers around to world, creating music for herself, for other artists and for placement in film, television and advertising. She is currently working on a new album.